Autonomous Cars – Are You Ready? We have a complicated relationship with self-driving cars. On the one hand, we love cars and the innovations that keep the automotive industry moving forward. On the other hand, self-driving cars feel like the beginning of the end of us driving ourselves, and that’s a future we can’t get excited about. While it’s still too early to say what direction the future of autonomous vehicles will take (or how long it will be until someone can actually make one that passes federal standards for safety,) Ford has made a concerted effort to let drivers know that Ford’s self-driving vehicles aren’t looking to take away your license. 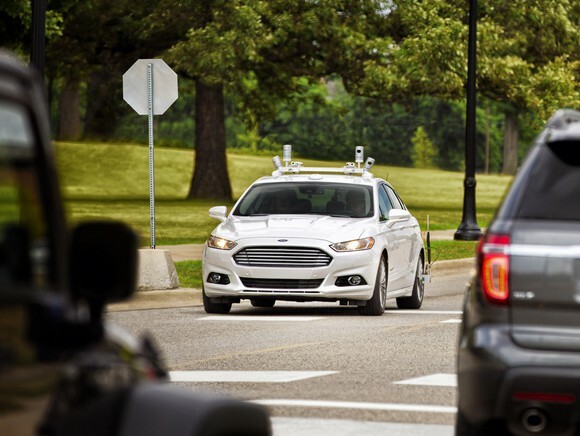 In a recent report on automotive trends, Ford announced that it foresees self-driving cars as better suited to big cities and countries that are more crowded and congested. The takeaway for driving enthusiasts? The only people who should really fear autonomous cars, at least at this point, are people who drive for a living. A massive, global study found that 40% of Americans can see themselves buying a self-driving car in the future. That’s actually a fairly high number, especially in the face of previous studies that saw Americans even less interested in letting a computer take the wheel. But India, which is mostly made up of incredibly rural areas and enormous, sprawling cities, is incredibly excited for self-driving cars. 84% of Indians surveyed said they would like to buy an autonomous vehicle. So before you start buying extra cars to stockpile in case the self-driving future takes away your daily driver, take some comfort in the fact that autonomous vehicle development and production is alarmingly expensive, and if your region doesn’t want them, chances are good it won’t get them. Drive through Seattle at rush hour, and you’ll probably wish you were sitting in a memory-foam recliner, watching your favorite TV show as your car does the stop-and-go work for you. Drive up Dead Indian Memorial Road at sun-rise, and you’ll understand why Southern Oregon is not a likely stop for the self-driving future, at least initially.